Version 1.1 is the first major release since 1.097, I will release it after a 50-day beta test. Version 1.1 changed version name only in Version 1.097 Beta. Nextion LCD GUI and TJC LCD GUI are versions used in Version 1.097. You do not need to upgrade if you are using Version 1.097 Beta. This release is just for verifying the stability of the version and ending the beta period. You do not need to upgrade if you are using Version 1.097. This is the version with only the version number changed. 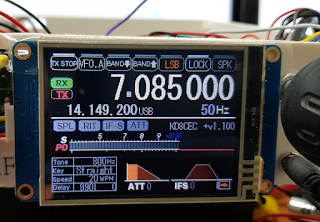 Minor bugs have been fixed, so even those who use Chracter LCD will recommend upgrading to this version. - uBITX Manager removed the Encode and Decode buttons. The procedure has become a bit easier. It is recommended that you look at the following links to use the firmware. See below for selecting .Hex files for upgrade. The official release of the CEC version is always available in the Release section of github. About 50 days of Version 1.097 beta period has ended. Great developers have converted various sizes of LCD GUI. I only support 2.4 "and 2.8", but you can download various size GUI firmware from ubtix.net and Facebook. Various types of GUIs have been created by great developers. Since version 1.097, the GUI has not changed, so you can use them now. I think uBITX has implemented most features. Perhaps there will be no upgrades to functionality in the foreseeable future. Minor upgrades will be available if bugs are found. Instead, I'm going to introduce a little bit more fun uBITX can use. 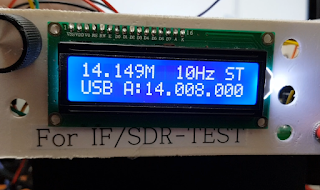 is it possible to use the S-meter Arduino for AGC aand DSP functionalities? However, in order to use the DSP function properly, DAC is necessary. Arduino Nano does not have DAC. 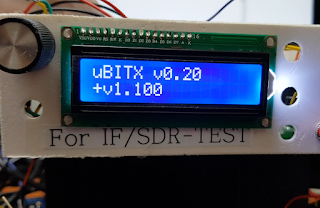 I have tested the DSP functionality by adding the STM32F4 board to the uBITX board. The board was purchased at Aliexpress for about $ 7.5. If I have a chance, I will post relevant information. Ian, I want to thank you for such excellent firmware for the uBitx!! 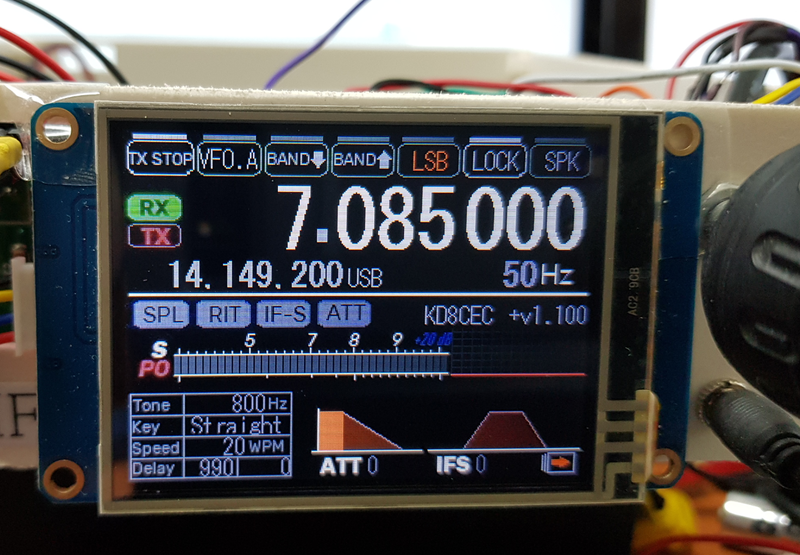 I love using my uBitx now especially after installing the extra arduino and uploading the 1.097 firmware. 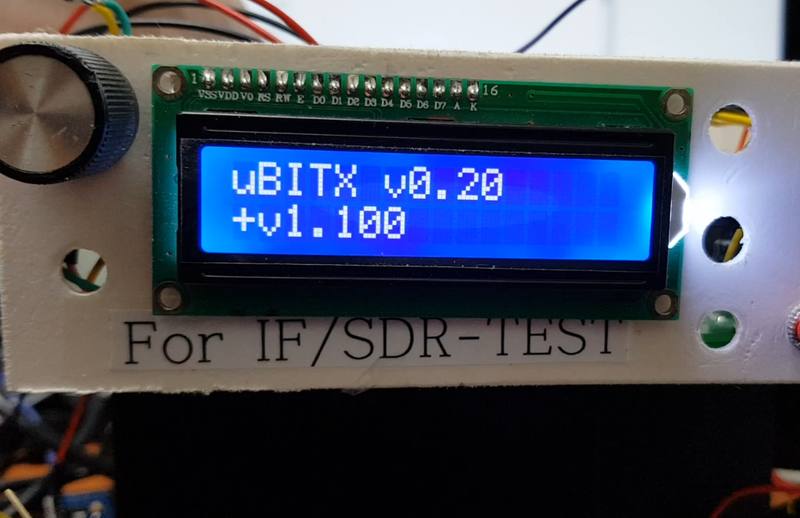 You have been very busy and I know there are many amateurs around the world that have the uBitx that have been following your improvements to the firmware!! Again THANK YOU!! I always appreciate for you tested and cheers. Now I want to find some more fun features. "Custom Filter" is a wonderful function for me who wants to experiment with LPF daughter board. However, this setting will not be effective. Why? Is there any other item to set? Can you give me some advice? That part of ubit.h is commented out. Are there any other points to be aware of? I have never compiled Arduino source code yet, but I will try it. However, I changed the source code slightly. I still use Version 1.94. I have a Nextion 3.2 inch display. In the zipped display software package the 3.2 inch software is not scaled right. The display area is smaller that the display. The picture itself is OK but it is scaled perhaps for 2 inch Nextion. I still have to use the previous 3.2 inch version which of course does not have dsp nor CW speed set up arrows alhough radio's software supports it. The 7 inch display looks great and colorfu. A fellow ham got his display the other day. Today I sent him the file and he said it looks great. I don't want to complain, but whoever wrote or rescaled the Nextion files (not extended) could he perhaps make the 3.2 inch display to right scale, too? Can anyone explain me what means "MATCH DATA" whenever I try to write back to Raduino (same data, nothing modified). Is it a prompt for me to mtch data or what on earth does it mean??? In previous version there was "ENCODE" button. I'd like to write values to s-meter boxes but it seems impossible. I think that means, you did not change anything. I have tryed an 2.4"Netion lcd with success, so I ordered the 3.5" version (NX4832T035). I have problem to load the TFT program: when I inset the microSD the upload doesn't start but, after few seconds, the lcd internal menu appear. I started testing my uBitx using the 1.097 version and I have to say that it is a very cool fw. I especially tested the CAT for digital mode and I'm entusiast adding also the second nano for the spectrum analysis. I notice anyway that for the voice reception I can ear a good modulation only if I put the IFShift between 1400 and 2000. I assume that it is not a proper behaviour. Any suggestion? Just upgraded the original firmware to your v1.1 routine, and it's a nice improvement over stock. Silly question of the week: what's the 14.149m on the (original LCD) display signify? Thanks for your hard work and for sharing this project with us all. I had indicated at another link that i wanted to work at 9MHZ second IF instead of 12. Accordingly I made changes in code. But while changing the factory alignment related also. in addition to ubitx_20.ino , While compiling the following errors are found. I fear I can't sort them out . of course, the values i changed for myself, being not accustomed with coding, lol. Please try to support . Later I realized that i need not enter 0 prefix that means some thing else. Please ignore my ealier post, Dr ZLee. Fantastic work Ian, I loaded the firmware, mainly for the CAT features and it worked flawlessly first time. I have modified ver 1.1 from 2.8 to fit the 3.2. However I don't see anything on the ADC MONITOR...that would be helpful. Was trying to experiment with the S meter. Sorry if you get this twice... but, I'm looking to put a "tune" button on my Nextion to throw a carrier while matching the antenna. Can I simply put buttons on the Nextion that call cwKeydown and cwKeyUp? I was originally thinking that I would have to grab the cw type to var, tune, stop, and then return var. Your thoughts? Thanks!